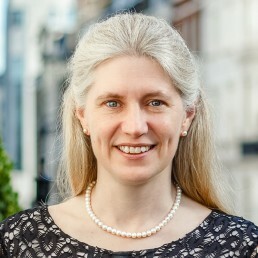 Philippa Stroud is CEO of the Legatum Institute. Previously, she was Chief Executive of the Centre for Social Justice (CSJ), a think tank that she co-founded in 2004. Philippa’s life and career to date have been strongly influenced by her passion to tackle poverty and social breakdown. Prior to the CSJ, she was Special Adviser the Rt. Hon. Iain Duncan Smith MP (then Secretary of State for Work and Pensions) from 2010-15, and also to the Prime Minister from 2012. In these roles, she was responsible for the development of the Social Justice agenda, working on the Government’s key Welfare Reform programme, the introduction of Universal Credit, the creation of Social Investment and the new child poverty measures. Her early career was spent in the voluntary sector including spending time in Hong Kong and Macau working with heroin addicts and ex-members of triad gangs who were undergoing rehabilitation. On her return to the UK she founded and directed a four-stage project that supported people off the streets and into independent living before moving to Birmingham in 2000 where she became Executive Director of the Bridge Project, a voluntary sector project that provided supported accommodation for homeless men and women. Following the 2015 UK General Election, Philippa was ennobled and became Baroness Stroud of Fulham.